Right along Main Street (Highway 89) in Lake Mills, you’ll find Sunshine Brewing Company. Sunshine opened in 2018 with a particular eye on Belgian-style beers and are adding consistently to their portfolio. Flagship Sunshine Brewing beers include their Tripel 8 Belgian Tripel, Diablo Sun Belgian Strong Golden Ale, and the Mayor’s Playground Belgian Stout. Seasonals include the Turn It Up Belgian IPA and the Stonefly Imperial Saison. Sunshine also brews a number of small batch beers, which rotate and include a Belgian Wit, a Kölsch, Amber Lager, a Table Beer called Enkel, a Witbier, a Dubbel, and a few IPAs. Sunshine Brewing Company’s Taproom has two parts, a small bar and seating area in the front and a larger area in the back with tables and room for games, events, and more within sight and scent of the brewing equipment and processes. 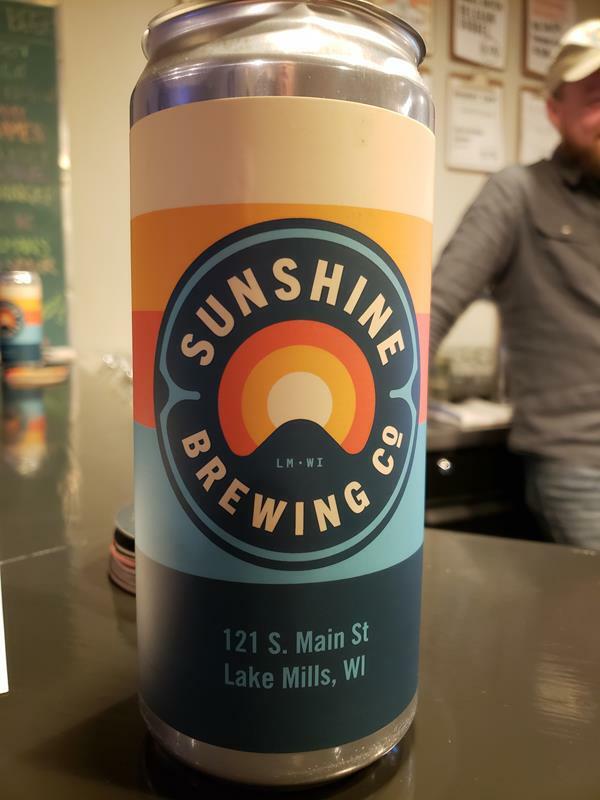 Along with the beers they brew, Sunshine offers several guest taps from other craft breweries in Wisconsin and, when the mood may strike, a neighboring state or two. They’ll also let you take some beers to go in their 32-oz. crowlers (and growler in a can.) You can even buy a friend a beer in advance and they’ll not only get their beer when they arrive, their name will be up for all to see on the taproom board! You’ll find Sunshine along Highway 89, which runs right through the heart of Lake Mills as Main Street. It’s just south of the center of town and County B, which doubles as the original Highway 30 between Madison and Milwaukee. I-94 is about a mile to the north, while the Glacial Drumlin Trail is less than a mile to the south.